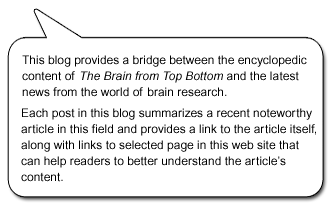 The Brain from Top to Bottom Blog – Beginner Level » Your Personal Identity: An Illusion That Hides A Work in Progress? Fascinated by a web page of photos taken with the same family members in the same poses at the same location two or three decades apart (see first link below), I recently suggested to my family that we try the same thing. We took photos of ourselves in the same postures and in the same kitchen as in some old photos that I had from quite a while back. We didn’t go so far as to try to wear clothing similar to what we were wearing in the older photos, but seeing ourselves in such similar situations several decades apart still raised some disturbing questions about the very notion of a personal identity. Where do we get such a strong feeling that we are always pretty much the same person, even though rationally, it’s easy to persuade ourselves that our current psychological world probably doesn’t have much in common with the world of that child blowing out the candles in the photo of our tenth birthday party? As Francisco Varela might put it, the world that I am causing to emerge now, with my adult concerns (such as that tax return that I have not yet filed), is certainly not the same as when I was a little boy who loved to run treasure hunts. Even biologically, they say that all of the cells in our body are replaced with new ones around once every seven years. Except for our neurons, of course, even though scientists now know that neurogenesis can occur at certain locations in the adult brain, and that even in our existing neurons, as in all living tissue, the molecular components (sugars, amino acids, fats, etc) are being replaced continuously. Which raises the problem of how our memories remain ingrained in our brains. Clearly, processes such as long-term potentiation can alter the efficiency of the brain’s synapses by modifying certain proteins, receptors and enzymes. But can such changes persist over decades, the way our oldest memories do? Other mechanisms have been proposed, and the question is far from settled. But, back on the subject of this strange feeling of having an identity that is constant, French scientist and radio host Jean Claude Ameisen proposed a very telling analogy in one of his broadcasts. He said that just as mutations have left traces in DNA over the course of evolution, and these traces have made species diverge from one another, the traces left in our nervous systems by the events of our lives (our “ontogenic drift”, as Varela would put it) have made us diverge from the people who we were before. Philosopher Joshua Knobe addresses this paradox in his own way. He works in a relatively new field known as experimental philosophy, which uses the methods of psychology and cognitive science to tackle such classical philosophical questions. Knobe invites us to imagine the world in a year. A year from now, if nothing goes wrong, there will be one particular individual in this world who is you. But by virtue of what can this person be considered “you”? Certainly this person will have certain values, beliefs and emotions that you would recognize as ones you have now. But what about five years from now, or 30? This person may still resemble you physically, but psychologically, he or she may well have changed significantly. Will he or she still be “you”? Would it be worthwhile for the self you are now, with the values you have now, to make sacrifices for the benefit of a future self whose values will necessarily be somewhat different?